Nothing has changed since kindergarten, people still like stories and ones with interesting pictures are always better. The content of your presentation is always the top priority and it should be created using descriptive simple words and lots of effective pictures. Stories should be captivating and forward moving. Establishing baselines can help to ensure that the audience is captive because even great sides get boring after the 50th meme. Guy Kawasaki, offers the ten, twenty, thirty rule. No more than 10 slides in a presentation. No longer than 20 minutes for presenting. And use at least 30 point font in your slides for readability. John Zimmer then helps us to refine our slides with the one, six, six rule. Only one idea encompassed on each slide. No more than six bullet points on a slide. And, no more than six words in a bullet point. Rely on experts before you. 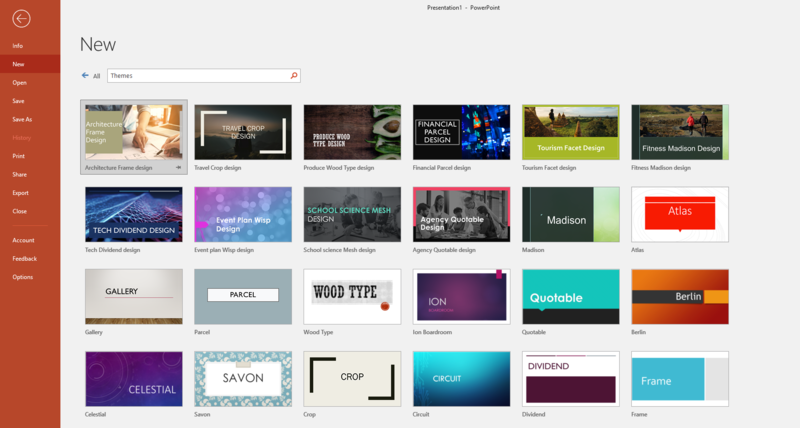 Microsoft PowerPoint has a lot of great tools that do the heavy lifting for you. Try out templates and make them your own. Use the Slide Master to maintain continuity. 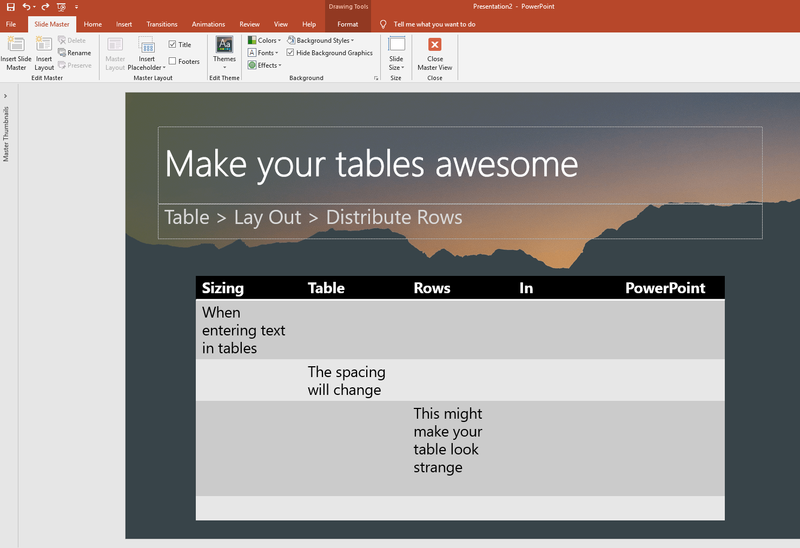 Clean up table layout with Distribute Rows functionality. Uniform sizing with ctrl click and Size Formatting. Of course, the most important part of your presentation is…you! The slides and content are there to highlight your ideas and ultimately they should be used to focus on your vision you want to share. 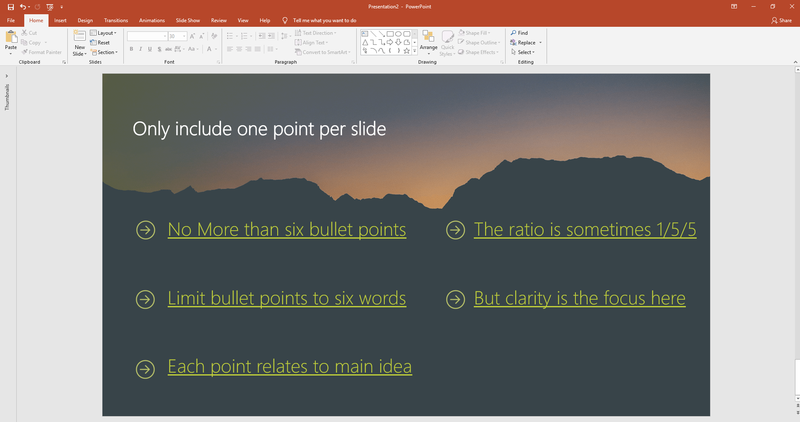 Add notes for yourself in PowerPoint to remind you what you need to say about each slide. Talk first and let the slide support you, don’t let your audience get sucked into just reading. 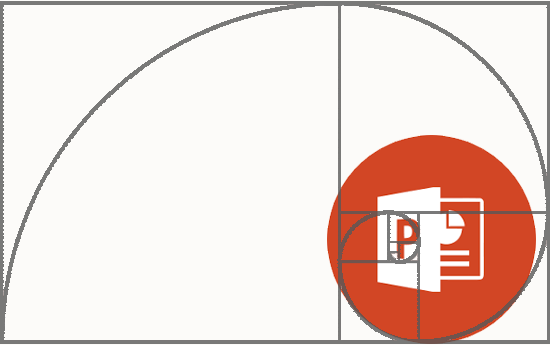 PowerPoint 2019 allows for remote progression of slides. Don’t get stuck behind a monitor. Start with a goal in mind. How will you know that your presentation hit home? 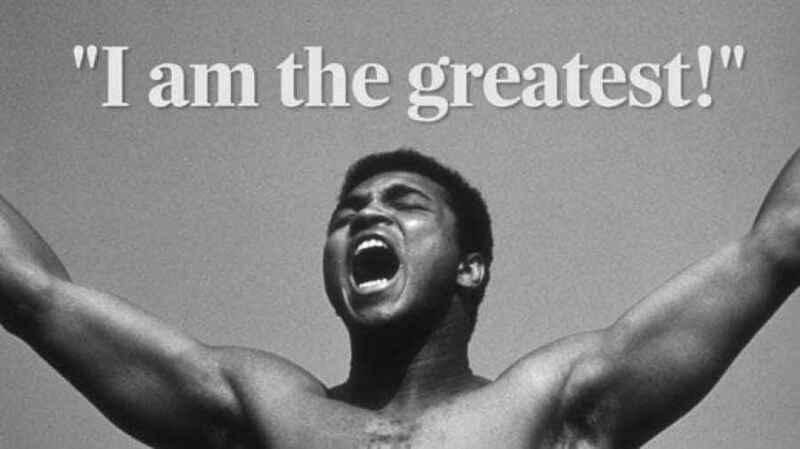 What have been your greatest presentations to give or view? What made them memorable and what actions did they drive? The tools are here to bring your ideas to life, find them at MyChoiceSoftware.com and good luck PowerPointers.